BUFFOON BRITISH BARONESS BABBLES ON ABOUT BLOOD LIBELS……. – The Tundra Tabloids……. BUFFOON BRITISH BARONESS BABBLES ON ABOUT BLOOD LIBELS……. FOR THE IDF’S RESPONSE TO HAITI..BUT.. This is the sickest of the sick. There is no depth to their depravity. After all Israel did to help the suffering in Haiti, this moron takes her cue from Arabs she supports, and claims she’s just “interested in seeing that these allegations don’t go any further”. What this idiot doesn’t tell you is that by calling for an investigating into the obvious blood libel, she helps to give a measure of credence to the claim. It’s an outrageous enough of claim already, there’s no need to compound that idiocy by seeking to investigate it. 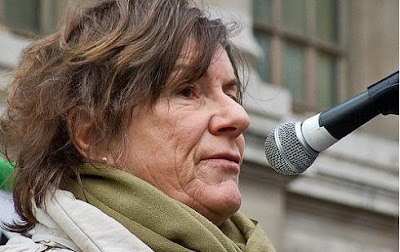 Baroness Tonge, the Liberal peer, said this week that Israel should set up an inquiry to disprove allegations that its medical teams in Haiti “harvested” organs of earthquake victims for use in transplants. Her call has been sharply criticised by fellow LibDems, but party leader Nick Clegg has refused to act against her. The organ theft claims were published last week in the Palestine Telegraph, an online journal based in Gaza of which Baroness Tonge is a patron. In a statement to the JC, she said the Israel Defence Forces were “to be commended for their fantastic response to the Haitian earthquake”. 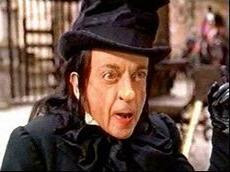 NOTE: Anyone notice the resemblence of “Deep Tonge” with the “Child Catcher” from the Walt Disney movie, Chitty Chitty Bang Bang, or is it just me? Previous Post Previous Post MUSLIM SHOUTS ‘SLAUGHTER THE JEWS’ AT ISRAELI DEPUTY-FM DURING LECTURE……. Next Post Next Post TURKISH HACKERS SUSPECTED IN BRINGING DOWN NORWEGIAN PAPER DAGBLADET FOR PUBLICATION OF PIG MOHAMED CARTOON……. People with power and influence have a responsibility to themselves and to society to be well informed before they open their mouths. This baroness is a blockhead.